It all starts with the word 'wellness'. To understand the meaning of Sport + Spirit: Explore Wellness, we need to begin with the word 'wellness'. Wellness is defined as the state of being in good health, especially as an actively pursued goal. It then follows that if we are so lucky to have all the basic necessities in life (water, food, shelter, safety), we are then fortunate enough to actively pursue and explore a heightened level of wellness that is key to a better quality of life. Although there are many dimensions to wellness, I have found myself drawn to the elements of Sport + Spirit, and the infinite possibilities within each to help explore my wellness. The element of sport brings with it a range of experiences from sport specific training, to recreational activities, to a hike in the woods. The element of spirit also has a tremendous range within, from passive yoga practices such as restorative, meditation and mindfulness to intense physical and traditional yoga practices. As a means to exploring my own wellness, I like to also think of Sport + Spirit as a spectrum with sport flagging one end and spirit on the other. Seeing it as a spectrum helps me to see that I don’t have to choose one or the other but can slide along the spectrum, trying different levels and elements. I really love this spectrum analogy because I think we all have our comfort level of what we know and what kind of experiences we like doing. Some of us are naturally more sporty and others spiritual. Some prefer to passively engage their body and mind and others prefer more intense physical engagement. Whichever is your starting point, the beauty of sliding along the spectrum, a little closer to the other end means you are experiencing something new and opening yourself to explore wellness in a new light. While growing up in Toronto, Sophie’s personal affinity to sport and recreation helped steer her interests as a youth, as well as her chosen education and professional occupations. Today, as a wife and mother of two, those interests have evolved into a personal journey of exploration and growth in wellness, further cultivating a new career vision…. 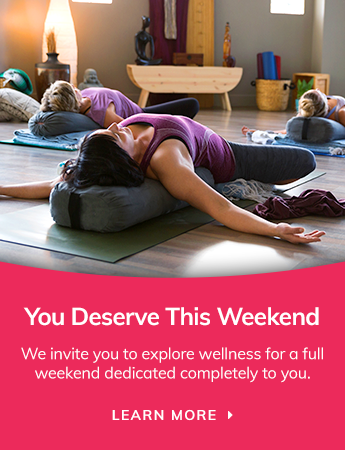 Wellness Retreats and Events. You may be surprised to find out that new experience was exactly what you needed. Only when you step outside your comfort zone, try something new and challenge yourself, do you elicit a new level of wellness. For me personally, I have pretty much lived at one end of the spectrum. Sport has always been a part of my life. I have always been drawn to it because it came relatively easy. It helped shape me (literally) and defined my wellness. Having said that, in recent years, I have been more and more intrigued by all the elements of spirit wellness. As I got older, busier and more stressed, I know that I need more than sport to sustain me and help me live a better life. Spirit wellness has never come naturally to me, requiring significantly more work on my part. But, what I have realized is that anytime I have experienced one of the spirit practices, it has greatly improved my body, mind and soul. So, this is my journey….navigating the spectrum between Sport and Spirit, in pursuit of better wellness. Does this sound like it could be your journey as well?